Do you know your Europe? Image credits: Cakes and Pies 2, by kodakgold. These days it’s all about the learners’ personal handsets (I guess nothing beats them for personalised learning, right)? Well, although I am also looking for ways to have the fewest possible numbers of things to carry around, I take great (perhaps too much so) pleasure in looking at the new companies’ arguments. After a (brilliant, I must say) webinar from one of the newest companies offering web-based alternatives to clickers [Top Hat Monocle – who, in my personal experience, are one of the most active (read “pushiest”) companies out there], a friend prompted me to compare what I’ve seen with my experience with clickers (we mainly use the eInstruction clickers at Leeds in the UK), as well as other web-based systems (last year I took an interested look at PollEverywhere and then spoke about it at ALT-C 2011), or alternatives such as Adobe Acrobat Connect Pro (which is not strictly an e-voting tool – it’s rather a very capable online coferencing tool with MCQ (multiple choice questions) and MRQ (multiple response questions) functionality). In short: why should you throw away your clickers (some say)? So why should you look towards web-based alternatives? Seriously now, let me try and put together some sort of comparison. I’ll list seven categories below and what I think of each one of the tools I have seen. I would say that traditional clickers win this category – in particular eInstruction, whose software has a PowerPoint add-in which turns a slide with text/images/whatever into an interactive question in just a couple of clicks. Other clicker tools, such as TurningPoint and Quizdom have separate applications or rather cumbersome add-ins which create new slides for your questions. What that means effectively is that, if you deliver your PowerPoint deck somewhere else where they don’t have the voting software installed, unless you hide that question slide, your presentation will suffer from the rather ugly inactive ‘interactive’ slides. What you get with eInstruction if you use their Response software is a little green “i” icon at the bottom left of your slide – won’t bother many people. Next in line I would put PollEverywhere because its limited question types [MCQ, Open-ended questions, or (pledge-to-help-me) Goal questions] are easy to author and equally easy to embed into websites, PowerPoint, Keynote, or Prezi shows – yep, you heard that right; pretty cool. Following that, and because, on the one hand, you’d need to spend a little bit of time getting your head around the online conferencing functionalities, and on the other hand, the fact that not all PPT 2010 objects are well-supported (but there are ways around it, of course) I would put Adobe Connect. It only supports MCQ and MRQ through its Poll functionality, and the other features it comes with are excellent for face-to-face and remote interaction. Finally, Top Hat Monocle is a capable tool with lots of functionalities. Unfortunately, the PowerPoint integration is not amazing (although I do like their widget that floats and can capture whatever you have on your screen and turn it into an interactive question, with the possibility of retrospectively setting what the correct answer should have been to a question you’ve just created on the fly). Top Hat is for me a dual-screen solution: you can have so much information coming in from your students through it (responses to questions, how they’re feeling about the pace of your delivery, full-text answers to questions; new questions) that you either need a wingperson to keep an eye on that data while you’re lecturing and give you signals in appropriate places (yep, I know, how feasible is that? ), or you need to have the mother of distributive attentions… (I know I don’t, but it’s a skill I guess…). For me Top Hat is a powerful revision tool both for lecturers (how did I and my students do in the session?) and students, but not a very polished face-to-face interactive tool yet. Now that’s a tricky one… or not, depending on how much you care about such policies (I really hope you do if you’re an educator … I’ll share my view on this in a future post in the near future). With web-based services such as Top Hat Monocle or Poll Everywhere, your students’ data is on the companies’ servers. I may be a bit paranoid, but knowing that the mobile phone numbers of 30,000 students are going to be on a third-party server (some of them are not even within the EU) together with their names, e-mail addresses and other personal details concerns me a lot. So basically, you have to trade that for pretty impressive functionality if you want (if you really, really want 🙂 ). Having said that, the pricing model of Poll Everywhere is different, allowing you to pay for a number of anonymous users and get on using it, while Top Hat want your students to create accounts before they can access the service. Working with clickers is tons safer, as all the data lives on the machine / network you are using, and because students use separate devices to interact, there is little personal data to be stored and potentially lost. However, in the case of using clickers for attendance monitoring or some more meaningful data monitoring, you will (at the very least) need to link clicker IDs to students IDs, so you’ll need to safeguard that. The same applies to Adobe Connect. You can run a truly anonymous sessions where everyone who has the web address of your room can just join, or you could integrate it with your VLE/LMS, students’ accounts would be copied across and, through wizardry of your own (as Adobe don’t support any VLE/LMS integration yet), you could gather and display meaningful data on your students. So I’d say clickers win this one again despite the significant manual work involved in linking clickers to student IDs, with Adobe Connect a very close second. … which leads us nicely to this category. Right off the bat, from what I’ve seen so far, Top Hat Monocle was excellent! 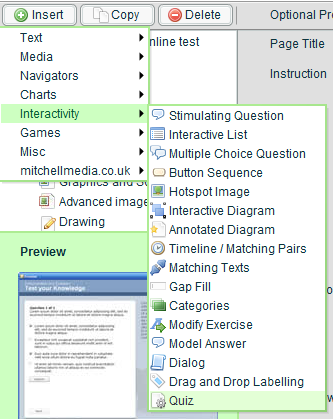 A mini-VLE or mini-LMS if you like, with opportunities for students to go back over interactive sessions, see how they’ve done, what the correct answers were, what questions they could work on in their own time (and even upload homework files). Although I’ve seen Poll Everywhere capable of pretty impressive statistics tracking and report generation, I would have to say that Top Hat was top drawer in this category. In the case of clickers, while you can export session raw data, you’d have to have some clever folks around to create ways of visualising that in similar ways (some universities in the UK have gone down that route of writing their own code to interpret raw e-voting data and it’s working well, but it’s not quite like the out-of-the-box Top Hat extravaganza). I would personally give this category to Adobe Connect and also to my recollection of the eInstruction e-clicker. The reason for bringing Adobe Connect in is that you can display both questions and results on tablets and mobiles. You can also zoom into slides displayed, but you cannot zoom into the question text and results. I remember (and will have confirmation soon, so there will be another post coming) that you could do the same with the eInstruction clicker, with the added benefit of being able to zoom into questions if they were delivered through the Response software rather than through PowerPoint. With Poll Everywhere, unless you are using the web interface to vote, which, just like Top Hat Monocle, can’t be pinched and zoomed into, you rely on how accessible your phone is to text or tweet the correct answer. The results can be viewed from another web link which actually looks ok on a tablet but, again, can’t be pinched and zoomed into. Well, there’s not a lot to say here: you use the clickers and the results appear in a graph pretty much instantly and reliably if you are using radio-frequency clickers and a bit less reliably if you are using infrared clickers. The e-voting software is a lot more reliable these days, although you may want to watch out for reported conflicts between SMART Podiums (who also have their own e-voting clickers to sell) and certain versions of other e-voting software (such as Response 6.7) which can’t make its way to the comms ports because SMART is hogging them (this is supposed to be fixed in a new release of SMART firmware if it hasn’t already happened… I’m under the impression it hasn’t). Regarding Adobe Connect, provided your WiFi doesn’t crash an die, voting is a doddle. Web-based services like Top Hat Monocle and Poll Everywhere are generally impressively fast, but can also suffer glitches, as you’re texting or Tweeting specific numbers / users, the SMS is processed by an SMS gateway, and then that is interpreted and sent back over the web to your graph. Most of the time it works fine, but expect to have the odd surprise when the Internet decides to pull over for a coffee, and have a plan B with something interesting to do while you’re waiting for the graph to become animated by your students’ votes. I know e-voting is meant to be just that, but more and more solutions allow you to do other things, too. In terms of interaction, Top Hat Monocle would come top with their homework, file upload, and revision functionalities among other things. Student progress tracking functionalities also looked interesting. Top Hat also had the most question types. The latest clickers also come with homework mode, which could come in handy if your students didn’t have access to computers and the Internet outside your institution. In terms of question types, you’ll have to check what each clicker model can handle as we’ve often found some could only handle MCQ / Survey and True/False, and couldn’t do Numeric/Order/Short answer. Poll Everywhere was a nice surprise in that it was the first (to my knowledge) solution to allow web, SMS and Twitter voting at the same time. Good reporting functionalities, but shame about only offering three question types. 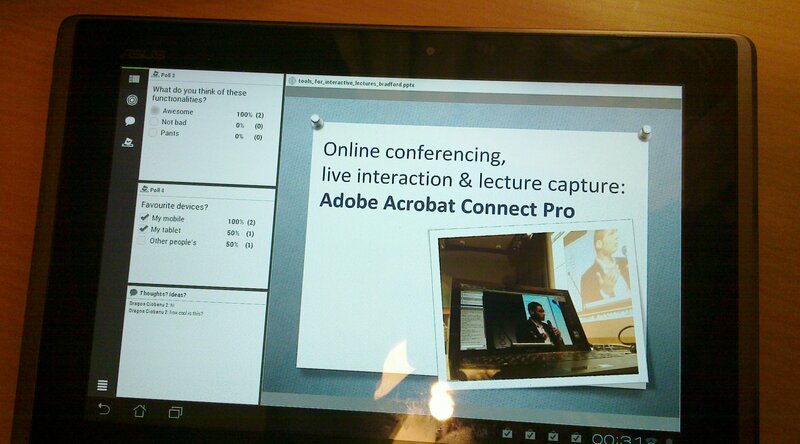 Adobe Connect, with its native online conferencing functionalities, is still very close to my heart, though: having one environment where you can record a session, with live Q&A through chat, mobile and tablet apps, screen sharing, webcam and audio, polls and whiteboards is quite a cool thing from my point of view. I would say that Adobe Connect is the slickest thing among the four. Its mobile apps look great and do an adequate job (more functionality for the presenter and SWF support would be highly appreciated, but that’s another story). It has potential for both anonymous and named voting, and it has lots more interactive features that don’t overwhelm you too much. Poll Everywhere is also very shiny and the possibility for synchronous Twitter, SMS, and web input – not to mention the Prezi integration – are brill. Again, shame about there are only three (out of which two actually usable in day-to-day education) question types available. Clickers can be fashionable (like the TurningPoint design), or rather more bulky (like most of the others), but with e-voting apps also available, the experience can be as slick as your phone. Top Hat Monocle is a very competent beast with lots of very cool features, but at the moment there’s something that stops me from recommending it as the tidiest of beasts. You will surely recognise lots of options when you start working with it, as well as spot a few original ones, but I’d personally say it’s quite a lot to get to grips with if you’re still weary about bringing technology into your sessions. Top Hat Monocle pride themselves with 20-minute response times to customer queries. The bloke who did the webinar for us got up at 4am US to be able to talk to us in the soft light of the UK morning, and did so very knowledgeably, so I’d take my top hat off for that. Adobe, on the other hand, are a bit more difficult to get answers from, although it all depends on the relationships you’re building. On Twitter, they are lively. There is also an Adobe Connect LinkedIn community which is brilliant, and they have also fairly recently set up a UK education team, so things are looking up. However, we have also developed a really good relationship with the UK suppliers of our clickers, Banxia, who have often gone out of their way (including writing original code for us) to help us out if we were having problems. Finally, PollEverywhere also seem to be a lovely, helpful, responsive and, what’s very valuable for me, non-pushy company with a good product. Worth keeping an eye on them just in case you need to go somewhere and can’t carry a bunch of clickers with you. After spending some time in the industry, this is what one of my friends starts with. I sometimes do that, too, but I have also learnt that there is no such thing as a free lunch. You will have to trade off some functionality / maybe sell your soul in the process. You’ll also need to look at how user-friendly and intuitive the chosen solution is: getting kit at half the price of something else, but needing support for every single person using it because of poor solution design is one of the biggest false economies you can make. Top Hat Monocle is priced per student, at $20/semester or $30/5 years. Naturally, the more students you have, the lower the price. They encourage students to sign up rather than the institution signing up on behalf of the students. Poll Everywhere has the opposite approach: a lecturer signs up and chooses to pay for a number of concurrent participants in his/her interactive sessions. It is free for up to 40 participants if you want to test-drive the system, then it’s a yearly charge which, if memory serves me right, starts at $750/200 or 250 students voting at the same time on individual polls (it doesn’t matter which students, they don’t have to be the same ones, and you can create an unlimited number of questions). Anyway, get in touch with them, and they’ll also be able to talk to you about the discounts you get if you sign up for several years. What would I go for? A bit of a tough question and I’ll definitely keep an aye on them all and others in order to be able to recommend the appropriate tool when working with my colleagues in the different faculties and services. Right now, however, I’d like to revisit the e-voting apps that the clicker companies have produced, and I’d also like to get my hands on the Adobe Connect development roadmap to see what else can be expected soon. All are possible contenders, but at the end of the day, for reasons listed above and others which I’ve kept to myself (curious? watch this space), I’d say we’ll still see clickers around us for some time yet. No better time to reflect than when you’re quite full of Paracetamol, wouldn’t you say? – I mean, what else is there?… It’s a less than charming situation, one in which I kind of wish I could just talk to my house and it would make me cups of tea or it would allow me to wave my hands around to get stuff… which reminds me that I never got round to talking about the session I did on Kinect at ALT-C 2011. Following the session, through the magic of Twitter, I got introduced to one of the Microsoft guys on the road talking about Kinect and then went down to London to FOTE11 for a chat- excellent bloke! I felt a little like a DJ: three machines, two of them set up with Kinect drivers (one with the official SDK, one with the open source one – I loved his face when I told him that, but he was actually very cool about it eventually ;)). I started off with waving my hands to drive the presentation below using the Nuxiva StagePresence application on a Win 7 machine connected to a Kinect. Then I switched to annotate verbally a whole bunch of videos on clever uses of Kinect by even more clever people from around the world. first of all, that the Kinect microphone array is truly spectacular – I tested it with Adobe Connect Pro and it was loud and clear at all times, although I was walking around a room quite a bit (not a huge room, I know, but still a very good result). secondly, that the Windows 7 built-in voice recognition is a serious contender to other software such as Dragon Naturally Speaking. Since then, I’ve played with the Google Android speech recognition and I can’t say I’m blown over… not horrible, though – it got me on Amazon UK pretty fast today to see where on earth was my copy of Bounce. get back to my Paracetamol and keep asking myself why do I feel that Microsoft are now the good guys and Apple are rather the opposite… Is it because of the super funny Clippy that I feel this way? Are you after rapid e-learning tools that help you create accessible online resources? Then check out what happened last week when I started testing Xerte, as well as my thoughts on how Xerte fits in with another rapid e-learning favourite of mine: Articulate Studio. 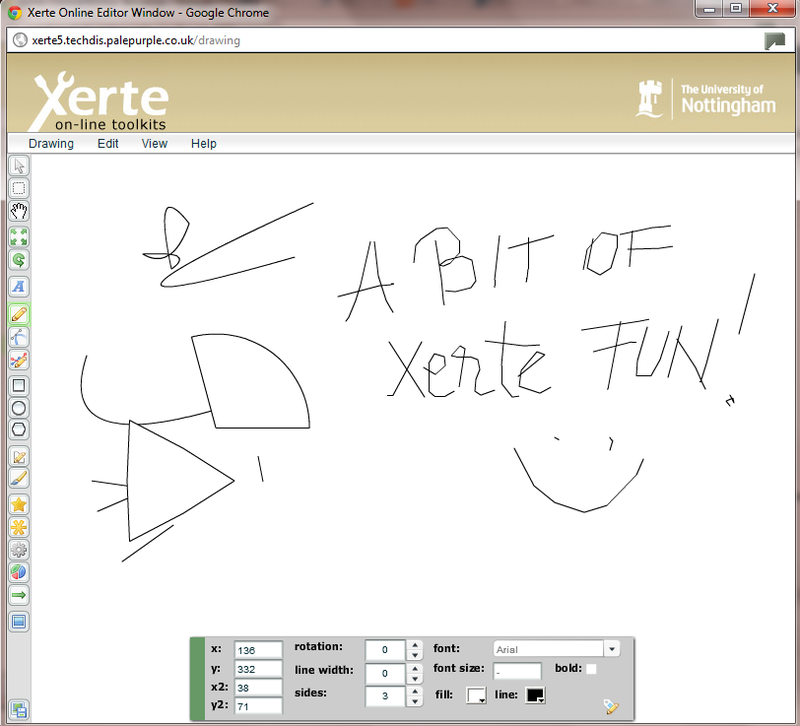 Xerte is a cool rapid development tool. Lots of folks have written about it and it keeps growing. The following reflects my own experience of it, so if I get stuff wrong, please tell me and I’ll happily put my hand up and correct it. As I was playing with it, I was also thinking of another rapid e-learning tool that I like using and whose community I would invite over to my house for breakfast, lunch and dinner any time – Articulate. So let’s get cracking and I’ll keep things as short and snappy as I can. My observations about Xerte are in bullet form and my comparisons with the current version of Articulate Studio 09 are straight underneath, preceded by a ‘-‘. Hope that makes sense. A web-based environment with a great set of content templates developed by some frightfully clever folks at the University of Nottingham. 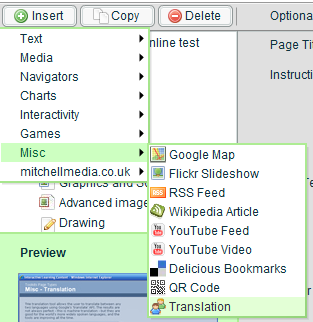 accessible (Tab navigation works very well and the Drag-and-drop exercise template which you can drive only using the Tab and Space keyboard keys is very cool indeed; I haven’t run it through a screen reader personally but I have not read anything suggesting it would not behave nicely so far). – Articulate also does Tab navigation, but is less accessible (until Storyline comes out and HTML5 support is added to Studio, that is…). lots of templates and the list is growing. From simply inserting content as text, images, and videos, to embedding YouTube, Twitter searches, and RSS feeds, you have loads of choice. – The Articulate community has lots of templates, too, but they are mainly PowerPoint (content layout) ones. Articulate Engage and Quizmaker have a contribution, but getting RSS feeds in and the like is currently a bit tricky as you need to embed the dynamic content into a separate webpage or SWF file and then import that into the Articulate resource. online environment meaning you don’t need to worry about licenses, copying files across, etc. plays well in Blackboard 9.1, although we didn’t get the SCORM to work first time… then again, as we had no quiz to track, there was little point persevering, so the .zip archive showing nicely in our VLE did it for us. – Articulate SCORM hasn’t been supported well in our Blackboard 9.1 and we’re trying various work-arounds. .zip archives were just fine. the Drawing template is very cool (although I didn’t work out what the Interactive mode was, but then again, I didn’t get round to reading any documentation for this – I personally blame Apple for the attitude :). I tested it with a graphics tablet and it wasn’t bad accuracy at all. – nothing similar in Articulate – you’d have to use PowerPoint’s drawing tools which are cool, unless you want to use the Scribble tool which will drive you mad – anything else, even Paint is much better for that! you can add FLV and SWF video to your resources (I tried .wmv, .mov, .avi, and .mpg but they weren’t supported). If you haven’t got the videos in the two required Flash formats, you can use free tools such as FormatFactory to convert your vids. – apart from those two, Articulate has native support for .mp4. Moreover, the Articulate Video Converter will do exactly what the name implies, while also allowing you to change the sound volume, crop the video (very cool! ), insert watermarks, and chop off the ends. 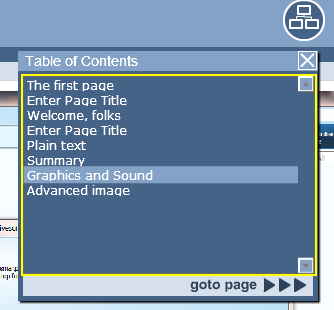 in the published resource, the nested pages do not appear as subpages and it’s all a continuous flow of sound, text and images. – similar effect can be created with PowerPoint, yet if you’re not a confident PowerPoint user, you’ll find this Xerte template a great relief. – hyperlinked thumbnails and images in PPT can create that effect, too. – the PowerPoint charts are likely to look much better and you don’t have to type in your Excel data again, which is a bonus. 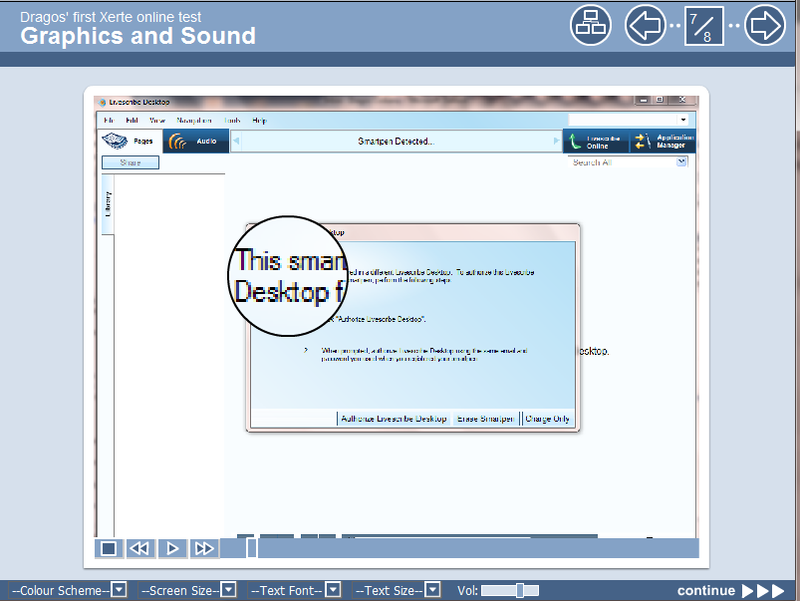 – a capable, though less accessible hotspot is possible in Quizmaker, too; to be honest, you can also generate the same effect in PowerPoint, too – up to you. – Quizmaker has 20 question types, but I felt the Xerte ones were easier to set up. Quizmaker, nonetheless, is much better at supporting, combining, and sync-ing multimedia. Branching is also possible from Quizmaker, as it is from Articulate presenter, too, and I couldn’t see anything similar in Xerte. – Articulate is not as competent yet, unless you go via the Web Object, in which case you’re sorted. – the Articulate Slide Properties all you to go mad with branching, names, tree structures, automatic or user control of resource progress and more. – wav is supported in Articulate alongside .mp3. In addition, a powerful audio editor is always on hand to allow you to brush up your narration until you get it perfect. This is also very helpful when updating your resources, because you don’t need to re-record everything again, but only the bits that are new. – images in PowerPoint can be edited and modified quite significantly (cropped, re-coloured, stylised). You can change the Articulate publish settings to achieve quite crisp images in the Flash wrapper. 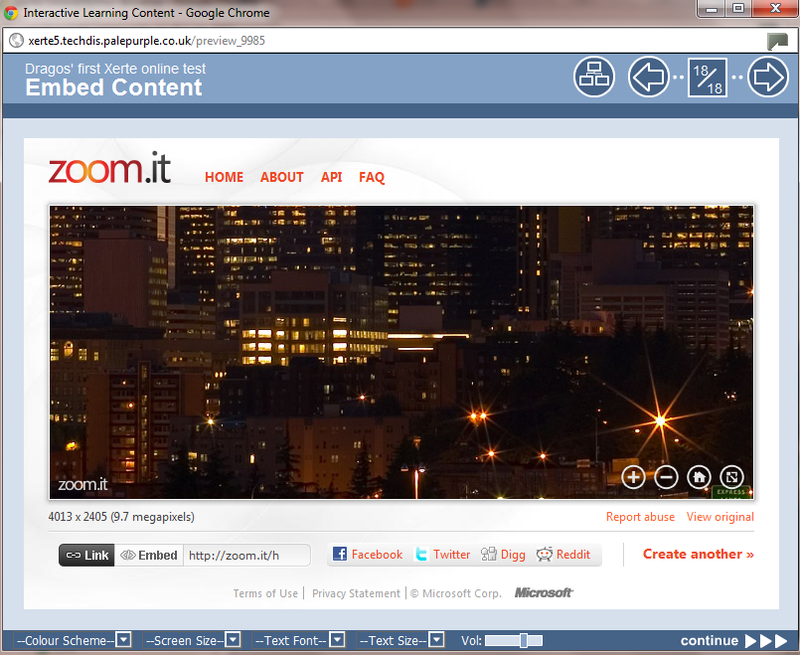 Even better in the upcoming HTML5-supporting versions. – not an issue in Articulate if you’re happy to use animations in PowerPoint. – you can use the Web Object tool in Articulate to embed such resources. For some you may have to set up separate html files, others (e.g. YouTube) will come in directly. I think this post is probably the longest I’ve ever done, so I’ll try and keep this short.. ha! (and I don’t blame Apple for this, btw.) So how do I feel about Xerte and how does it sit next to Articulate? I love my scenario-based learning resources and building something like that in Xerte would make me throw too many things around in frustration that I can’t combine elements that the templates do not cater for (for instance, a video and an embed object or an RSS feed…) I am aware I can build my own templates if I want, but I really don’t want to do that (I just blame Apple for that). 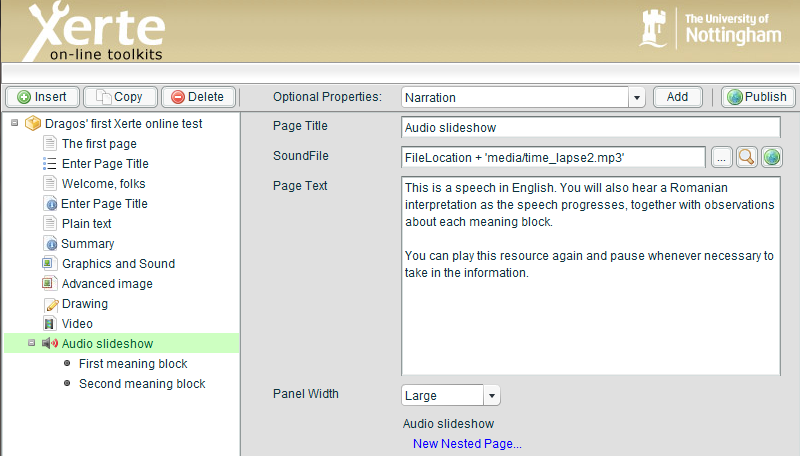 I’m happy to put a video and an External Object in my Articulate resource and be done with it. On the other hand, it’s really nice to see so many templates and I feel that if one of my lecturers is short of time and resources, is not a confident PowerPoint user, and needs to get a mixture and static and interactive content out there fast, Xerte will be a good choice. Talking accessibility, Xerte is currently much better than Articulate (although you have tabbed and arrowkey navigation in the Articulate files, too). However, I have also seen the future of Articulate and it’s called Storyline – a tool so fine that designers will snap it up as soon as it comes out: HTML5, lots of interactive content, and very cool features which I am not allowed to talk about… yet :). Talking looks, Xerte is way behind at the moment but some designed skins may push it forward quite a bit. Therefore the deal to me is this: in the case of Xerte, you are starting with your current knowledge of e-learning, the templates that the super clever folks in Nottingham have built for you, and also joining a growing community of Open Education Resources (OER) creators. In the case of Articulate, you pay for a very cool (and very soon way cooler) application, and you join a community of established industry and education instructional designers whose contributions can make you a top designer, too, in a short while. Anyway, I’m signing off now and I’ll be happy to read your reactions. Best thing to do now, if you haven’t already, is to get an account with Xerte and a demo version of Articulate Studio (and Storyline when that comes out soon). The web is cruel and direct: not writing for two months looks like a nice long holiday. It was in fact the opposite, with 4 presentations at ALT-C 2011 and several new projects at my University. All in good time, though (or just look on your right and you’ll see the links to the recorded sessions ;)). Last week, thanks to an @ul_berg initiative, I attended a very informative and thought-out presentation by Jill Johnston from the University of Sydney talking about why students still bother to come to lectures even if everything is recorded and available online after the session. It kind of boiled down to students being social beings and lecturers being able to provide a lot of added value when meeting face-to-face as opposed to online. Yet I’m not going to talk about that, but about something which I found quite amusing. Jill referenced 2 papers as a fun starting point: one from 2000 asking whether the new kid PowerPoint will ever end up replacing the blackboard, and one from 2008 asking whether the new kid Lecture Capture will ever end up replacing the lecturer. it almost becomes a story which Wizard Steven is creating under their very eyes and which they can tailor to their needs by asking questions and seeing the answers materialise alongside other explanations. To me this is so elegant it’s worth giving Steven a hug every day for the rest of his life. However, what it is not quite so, is simple. It looks simple on the outside, but then again so did Steve Jobs’ presentations. Like Steve, Steven prepares thoroughly for his sessions. Unlike Steve, Steven is not afraid to come out of his comfort zone and draw/write live in front of a large audience. PaperShow is a great wake-up call for those who have become a bit too dependent on PowerPoint. That is not to say that PowerPoint will die – presentations will still need to be given and I think you only need to glance at the work done by Duarte Design, Garr Reynolds and their friends to see why presentation software will still be needed. Prezi is an interesting alternative for folks who would like to do a little bit of something like kinetic typography (but not know they want it) and stick in some videos, too. I saw a very cool example at the ALT-C conference where it was used as a portal to a whole range of other resources – a dude had set a picture of a tree as the background, and all the resources his team were offering were either leaves or flowers depending on their type. Looked neat! Over two days, I have grown to like quite a few apps on the iPad. Popple is a great mind-mapping tool. It isn’t brill in terms of sharing your work (PDF and image by e-mail is pretty much all it seemed to handle, but it was extremely good fun to use). Flipboard is the most beautiful RSS reader I’ve ever seen… I’ve got to say that! The fact that you can stick in a Google Reader account and presto you get your own magazine-style issue with the latest from the people you follow (similar to what paper.li is doing online) is just brill! I’m pretty sure you’ll find tons of other very cool apps in there (and I have, too, but don’t want this post to be excessively long), but was I ever regretting going for an Android tablet? Yes when it came to missing out on iTunesU (but I guess I could go round the issues by watching the podcasts through an RSS or on my laptop, and there is also hope out there and work-arounds). No, when it came to everything else. Fair enough, everything is pretty and slick on the iPad, but the Android is not so far behind. So what do I do currently with my Android? I read a lot more, try and keep up to date with the world and my social networks, and I play word games. Pulse is a neat RSS reader. Not as flashy (LOL!) as Flipboard, but very good indeed. Hootsuite is not as pretty as on the iPad, but does the job of managing my Twitter activity well. So: the iPad and the Android tablet walk into a bar/pub :). How do they get a beer? Well, the iPad needs to go to a particular spot (the Dragon Dictation app), ask for the beer, then e-mail the request to the bartender because that app isn’t allowed to talk to many other apps (I know, you are in a way centre stage, but it still feels like you’re in the naughty corner… until uncle Steve lets you out…). All this done, though, it will probably get the most beautifully-designed glass you could ever make if you could be bothered to spend the time. It’s no secret that, although it is not actually true that tech falls on its face when you need it most, when it does, it certainly feels like it. It’s just happened to me while working with Adobe Acrobat Pro. Not a lot: I wanted to create a PDF from an MS Word document which had some links in it. I wanted to include metadata for the PDF: the author, copyright info, etc. Well, in looking for all these fancy things, I kind of forced myself into having to use Adobe Acrobat Pro (adding and modifying Bookmarks is super easy, although make sure you also position the bookmarked bit where you would like it to be displayed – e.g at the top, middle, bottom of the page, rather than just place the cursor in front of the text and add a bookmark. Moreover, a quick File/Properties in the PDF gave me access to all the other functionalities I was looking for). I also thought that, if I were to use some features of Acrobat Pro, I may as well use the same application to create the PDF rather than take the easy way out and use the Word functionality to Save As .pdf. This is where things went downhill. It converted my dashes in the link to funky codes, thus guaranteeing there was no chance anyone could get to where I would have liked them to be. Well, apart from recreating the PDFs with the full links, there’s not much to do… the nice folks on the WordPress forum did try to help, but there may not be a lot they could do… Temporarily, I am following their kind advice and have added an additional text box signalling the fact that visitors to my blog may get to a Page-not-found message; I am also telling them where the info they are looking for actually is. I am still keen on producing bookmarked PDFs (in my experience, having menus on the side does help). I also like this menu of bookmarks to appear automatically for my viewers’ convenience. I also like to be able to add bookmarks in the menu to areas which are not necessarily new headings, but rather important paragraphs. Acrobat Pro allows you to do all of the above with ease. On the other hand, the integrity of my links is very important to me, too. So I will keep saving as PDF from within MS Word/Open Office to start with. Then I will use Acrobat Pro to add all the other bells and whistles. Hi, everyone. I have recently launched the E-Learning Bakery and will continue sharing my experience with educational technology there. Looking forward to seeing you there, or on Twitter: @elearningbakery!! Three sessions I delivered at ALT-C 2011 in collaboration with colleagues at the University of Leeds: Adobe Connect @ Leeds || Smart pens || SMS texting vs clickers for e-voting. Also, the opening presentation at the 3rd European Articulate Conference: My Articulate journey.